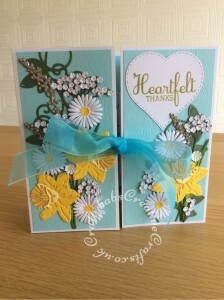 Here are two special cards made for a Special Congratulations and a Special Thank You. 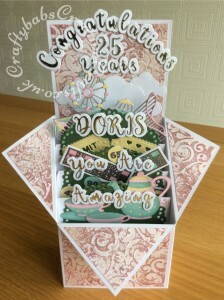 The recipient of the congratulations card has run a local community pensioner’s group for 25 years, organising trips to Blackpool, bingo and games and the usual tea and biscuits, hence the die cuts chosen to decorate the card. 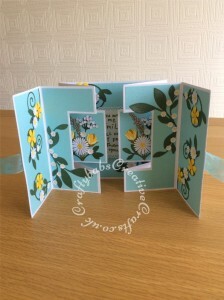 The Thank You card was made for the same lady, who, after receiving her card asked if I could make use of an unwanted Die cutting machine. 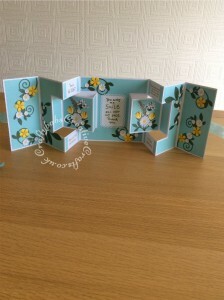 Said machine, a Tonic Tangerine, is now sitting proudly in my craft room, although I have a variety of machines, I didn’t have this one. 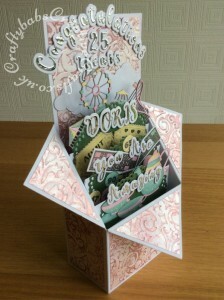 I was delighted as I can now use my Tonic and Crafter’s Companion 3D folders which I’ve struggled getting through by Big Shot Pro. 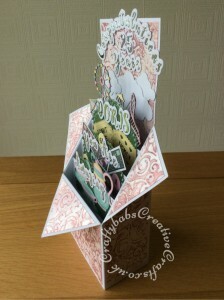 For more pictures click the link above, for larger picture and details of dies used just click on the individual pictures.